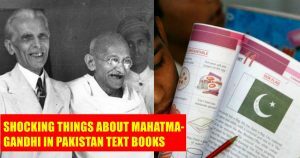 Ever Wondered What Was Written About Mahatma Gandhi In Pakistan’s History Books? Mahatma Gandhi, dearly called as ‘Father of the Nation’ is undoubtedly one of the most influential personalities ever walked on earth. Being the grand old man who led India’s journey towards freedom from the clutches of Britain, the colonialism is nowhere away from the hiccups. The end-days of Mahatma were not so pleasant, with the partition of Pakistan from India, the communal violence spree out and the way it led the relationship between Pakistan and India into today’s can-be-called turmoil is clearly visible. 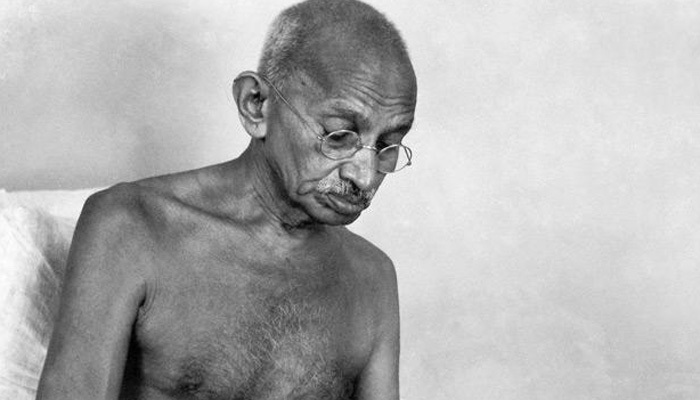 Many Indians boldly oppose the moves made by Gandhi in the aspects of post-freedom-events. Even Jawaharlal Nehru had to deal with various clashes in which the war that broke out between two of us is quite important. However, despite the foul relationship between India and Pakistan, we somehow stay united during many occasions. But, in terms of politics and security issues, the war is always there and god knows when it truly ends. We might have always wondered what Pakistanis read about Indians in their books! It might be school textbooks or some other journals, the eccentric forms of stories exist everywhere, especially in the prominent works like novels and research related ones. And, coming to the way the story of Mahatma was told in Pak’s history books, our misconceptions were surely wrong. Though Gandhi is one major leader from India, Pakistan didn’t stop applauding him in their books and many of us might have already guessed the reason. If you couldn’t, then you must know that Gandhi is the major personality behind the partition and all the rest of things happened solely based on his idea. On the top of everything, there is this tweaked way of presentation in their textbooks in which Mahatma Gandhi is called as a foe of British and concreting this belief, they even mentioned the installation of statue of Gandhi at Parliament Square which is opposite the Palace of Westminster which houses the British legislature and contains statues of statesmen and other historical figures, including South Africa’s Nelson Mandela. In Pakistani history books, Gandhi is more positively portrayed as compared to Nehru and Patel. Particular emphasis and appreciation are given on Gandhi’s death-fast for allocation of Pakistan’s allotted share of assets. He is also appreciated for his non-violence movement and contribution toward protest against Britishers.